But really, the job I’d really want, is writing the answers to the daft questions people ask. Voice recognition systems – Amazon’s Alexa or any other – must be one of the most fascinating areas of computing to work on. 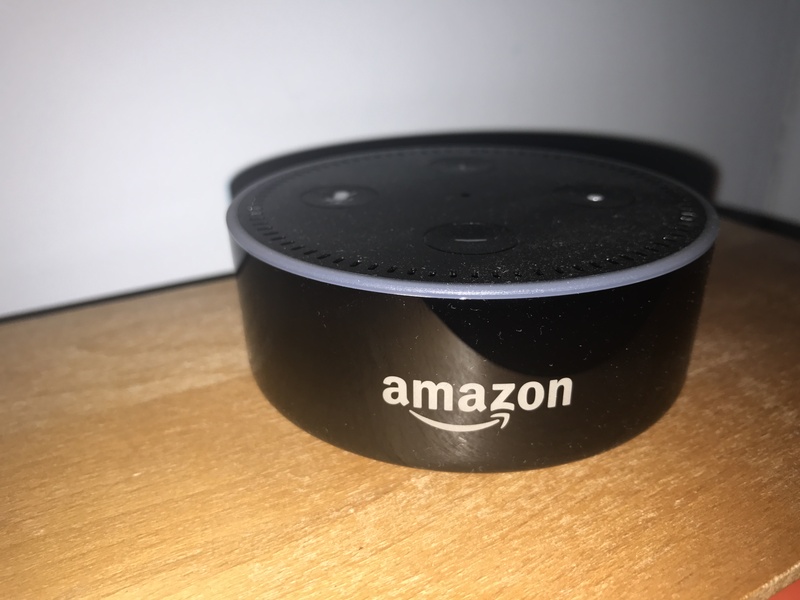 There are a lot of very smart brains working on artificial intelligence systems that enable Alexa to answer the millions of questions asked of her every day. But really, the job I’d really want, is writing the answers to the daft questions people ask. “”Alexa, what’s the first rule of Fight Club?” or “Alexa, do you really want to hurt me?” Anybody who job means they get to write “.. and happy birthday to Barbie whose life in plastic has been fantastic for 58 years” must be having a blast. Mashable has a story today about a woman who asked Alexa about any connections to the CIA – at which point the system appears to crash. Obviously proof that all conspiracy theorists are correct. The person with that fun job was swift off the mark. Now, somebody’s waved their neuralyzer & Alexa’s been updated and claims to work for Amazon. If it was me, I’d update Alexa’s sense of time and stop responding to my happy ‘good morning’ at 10pm with an equally up-beat ‘good morning’ and make her grumpy and tired. Or maybe that would be a bit too human. One of the amazing things about Japan was the food. And such a variety of tastes and styles. Oh, and the rice. Each day I looked back through the photographs I had taken and tried to find one that summed what we had seen or done. Some days that was very easy because the day had a big goal – the Mt Fuji visit, for example – but other days it was much harder to select a single picture that summed up the visit. Looking back over the collection, however, I see that it’s a nice overview of our trip. However, there is one major element missing: food. I have not captured the variety of amazing meals that we had. Japanese cuisine was definitely one of the highlights of the trip; no wonder it has been given UNESCO heritage status in order to protect it from the onslaught of western dishes and fast food chains. From conveyor-belt lunchtime sushi to a high-end fish-market fresh version; from teppanyaki (accompanied by a Japanese improvised comedy show) to high-end tempura and soba noodles, ramen, sake & delicious wagyu beef. In the UK it would all be in one restaurant labelled ‘Japanese’ but each place we visited specialised and was delicious. There were no bad meals, most were incredibly cheap and service was outstanding. 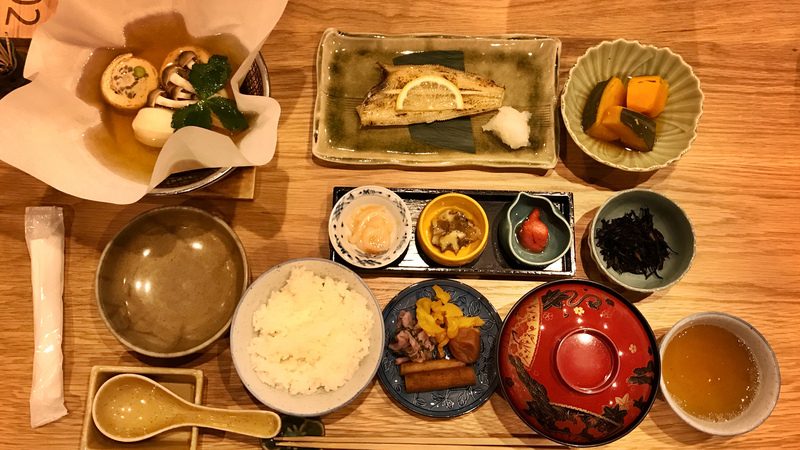 Breakfast seemed the most different to my British palate: fermented soy beans, dried and grilled fish, pickled things of all sorts (labelled vegetables but I wasn’t always sure) and dried seaweed and all served – like every other meal – with white rice. I never saw another type of rice and didn’t really get an answer as to why it was always steamed white rice alongside every meal. I can’t wait to return to try more. My Japan restrospecive (so far) is available in two earlier parts: Tokyo and Kyoto.